From the Studio: GU Department of Theatre & Dance presents "Coming Home: A Soldier's Project"
Professors Kathleen Jeffs and Charles M. Pepiton with student Cooper McCoy, chat with Verne Windham. 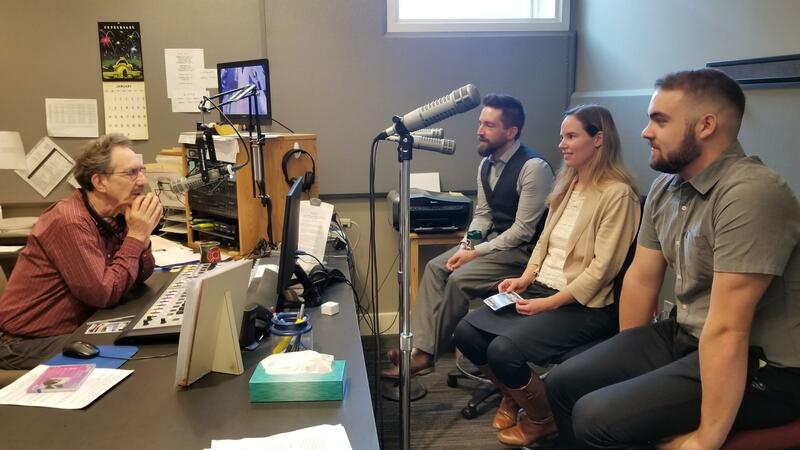 Director Charles M. Pepiton and Professor Kathleen Jeffs, along with actor Cooper McCoy visited the studio this morning to introduce Gonzaga's upcoming production of a local work, entitled Coming Home: A Soldiers' Project. This is the story of transitions and perceptions: from base to basketball, from service to civilian, and how connections are made and un-made. Tickets are on sale now, but all performances are free for active duty and retired military (please call (509) 313-6553 to make arrangements). For more information and to purchase general admission, student and faculty tickets, please visit the Gonzaga University Department of Theatre and Dance website.